You would not believe how hard it is to find a somewhat SFW picture to accompany this show. Or maybe you would, especially if you’ve seen the show or my recent review of it. You also wouldn’t be surprised as to why it’s on this list, as its blood, gore and mind f*ckery tried its best to move further along this list. What. The. F*ck!? I admittedly had a little warning going into this show, but not nearly enough as those were the words coming out of my mouth towards the end of the first episode. 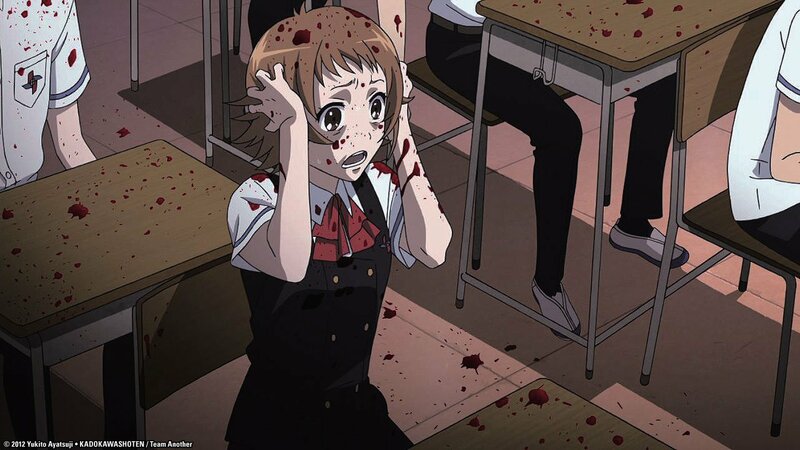 You think you’re getting some light-hearted anime about school girls and the next thing you know it’s a blood bath with zombies everywhere! Admittedly this show isn’t nearly as freaky as Future Diary, but the first episode alone twisted my expectations of an anime more than any series in recent memory. I still haven’t finished it quite yet, and I’ve been warned to be disappointed but I still can’t get over how out of nowhere this plot twist was. It’s one of those things where when you go back and watch it all seems so obvious, but first time around you feel like your brain glitched a little. So yeah that’s the list. How’s it compare to your favorite psychological thrillers? Now if you’ll excuse me I’m going to go take a hot shower. Quick question though, is it safe to scrub your eyes? I have not seen 1 or 3 yet. I am approaching 3 slowly, I don’t know if I can handle the dog scene… I’m a wimp. Both are decent series, but really not my cup of tea. 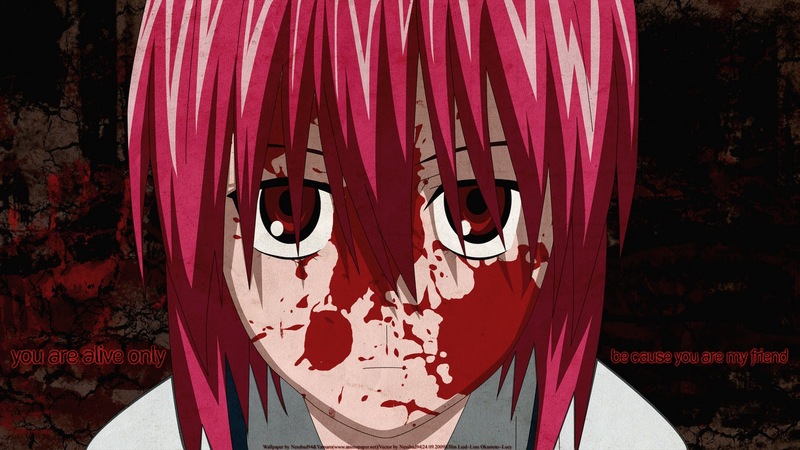 I wouldn’t say the dog scene is the worst part of Elfen Lied, but it’s definitely the part I lost all sympathy for humanity. I’ll have to finish it eventually. I’m trying to take a break from dark shows after making this list lol. Great list. I only saw School Live this year for the first time and I agree it was an excellent start to a story and really well executed. I really enjoy all these titles (okay, I only kind of enjoyed Elfen Lied but otherwise) and it was great to see your short thoughts on them. Thanks! 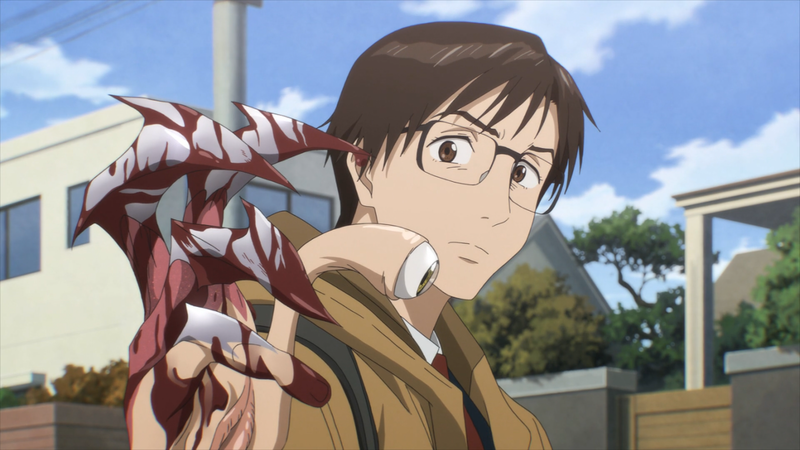 I think out of all of them on the list I probably preferred Parasyte the most, but I’m kind of on that Future Dairy bandwagon too. I haven’t seen the anime, but the first chapter of School-Live! also took me for a loop. Later volumes are also still pretty heavy on the psychological aspect. Yeah I’m getting the impression one of the girls is going to have a breakdown at some point, but I’m kinda freaked out myself lol. Previous Previous post: Anime Review: Handa-kun. The comedic nonsensical “prequel” to Barakamon. Next Next post: Anime Review: Blood Blockade Battlefront. Look at me with your “special eyes”.